Welcome to the new home of the N.W.M.P Commemorative Association! The mission statement of the N.W.M.P. 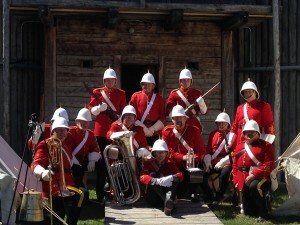 Commemorative Association: The purpose of the society is to promote an awareness of the North-West Mounted Police and the Royal North-West Mounted Police; to collect, preserve and display historic police regalia and equipment, and to recreate the ceremonies, drills, music, traditions and history as a living museum for public education and enjoyment. For more information about the association, see “About Us”. Again – Welcome and, please, come on in for a look. We hope you will return often!